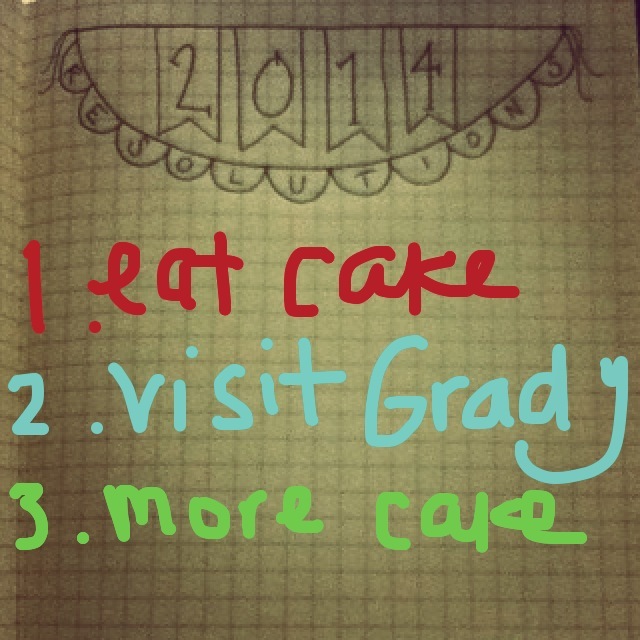 All attainable goals, yes? I think so, too. Go 2014. I love your resolutions!! Not all grown-ups make their beds – in fact, I hear your mother never makes hers, which came as quite a surprise to Aunt Marcia and me. However, I have always preferred to climb into a made bed than a sloppy one. And maybe another resolution is to let absolutely everyone know that you have a blog! I can’t wait to catch up on your last year. Don’t get a tattoo, you’ll regret it. But DO come visit Grady – you won’t regret that! And if you figure out the trick to actually enjoying yoga, you need to tell me what it is!